Treatment of non-small cell lung cancer (NSCLC) is evolving with the use of precision medicine for patients with sensitizing epidermal growth factor receptor (EGFR) mutation. First- and second-generation EGFR tyrosine kinase inhibitors (TKIs) remained the standard of care for patients with EGFR-mutated advanced NSCLC for about a decade. However, treatment resistance eventually develops for most patients who experience initial response to these agents. The most commonly acquired resistance mechanism is the T790M gatekeeper mutation. Poor drug penetration leading to central nervous system (CNS) relapse and dose-limiting toxicities are other concerns. The third-generation EGFR-TKI osimertinib, initially approved as the second-line treatment for patients with T790-mutant NSCLC, demonstrated survival benefits in TKI-naïve EGFR-mutated patients, especially in patients with CNS metastasis. The FLAURA study has shown statistically significant progression-free survival benefit and prolongation of all post-progression outcome endpoints, time to first subsequent therapy, second subsequent therapy, and second progression on subsequent treatment, along with acceptable toxicity and better quality of life outcomes. These data favor osimertinib in the first-line setting for EGFR-mutated NSCLC. This is an important milestone since sequencing the TKI therapy based on accurate prediction of T790M is clinically challenging. In countries like India, T790M testing is not routinely conducted and two-thirds of patients with NSCLC do not receive any second-line therapy. Osimertinib can be administered pragmatically as a first-line therapy. Mature overall survival data from the FLAURA study will be important and could help define the optimal personalized treatment for patients with advanced NSCLC. Funding: AstraZeneca Pharma India Ltd.
To view enhanced digital features for this article go to https://doi.org/10.6084/m9.figshare.7751570. 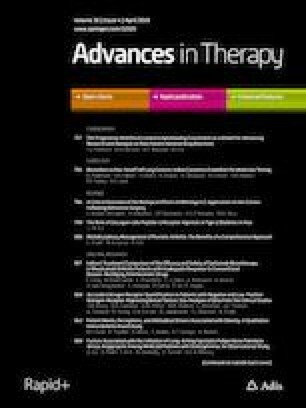 The preparation of this article and funding of the journal’s article processing charges were supported by AstraZeneca Pharma India Ltd. All authors had full access to all of the data in this study and take complete responsibility for the integrity of the data and accuracy of the data analysis. The authors thank Chinmayee Joshi from Sciformix Technologies Pvt. Ltd., Mumbai for providing medical writing assistance in the development of this manuscript. The authors also thank AstraZeneca Pharma India Ltd. for funding this assistance. Senthil Rajappa, M Vamshi Krishna, and Prasad Narayanan have nothing to disclose. Mok T, Ju Ahn M, Youn Han J, Kang JH, Katakami N, Kim HR. CNS response to osimertinib in patients (pts) with T790M-positive advanced NSCLC: Data from a randomized phase III trial (AURA3). Accessed from: http://ascopubs.org/doi/abs/10.1200/JCO.2017.35.15_suppl.9005#affiliationsContainer. 2018. Accessed 20 Sep 2018. Yang JC, Cho BC, Kim DW, et al. Osimertinib for patients (pts) with leptomeningeal metastases (LM) from EGFR-mutant non-small cell lung cancer (NSCLC): updated results from the BLOOM study. http://ascopubs.org/doi/abs/10.1200/JCO.2017.35.15_suppl.2020. 2018. Accessed 20 Sep 2018.